‘Ob.so.les.cence: Being in the process of passing out of use or usefulness; becoming obsolete’. 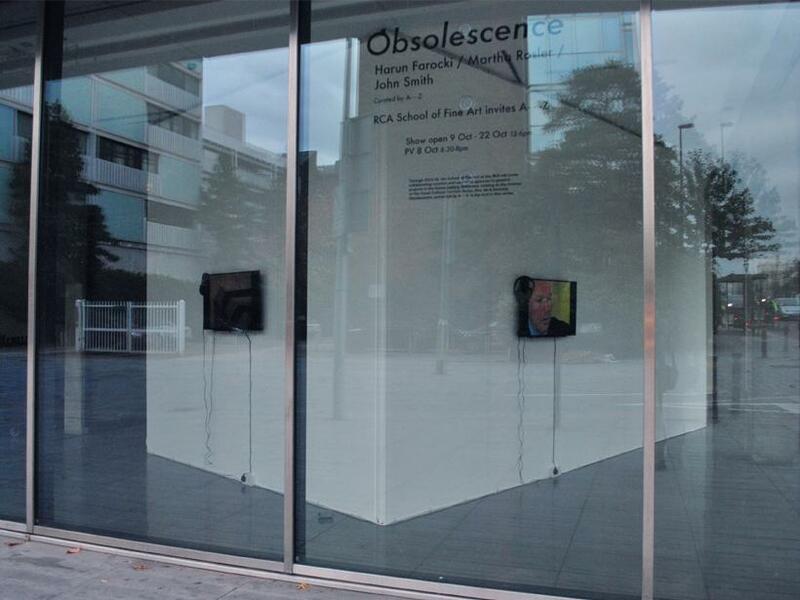 So states the press release for ‘Obsolescence’ at the RCA’s Dyson Gallery in Battersea. This exhibition is part of a peripatetic series curated by A—- Z (Anne Duffau) that follows the letters of the alphabet to explore a series of words related to the idea of entropy, as ‘a starting point to map out and test various unstable potentials.’ So far, so labyrinthine. However, the exhibition itself is remarkable for both its quality and - rather unexpectedly - its concision. 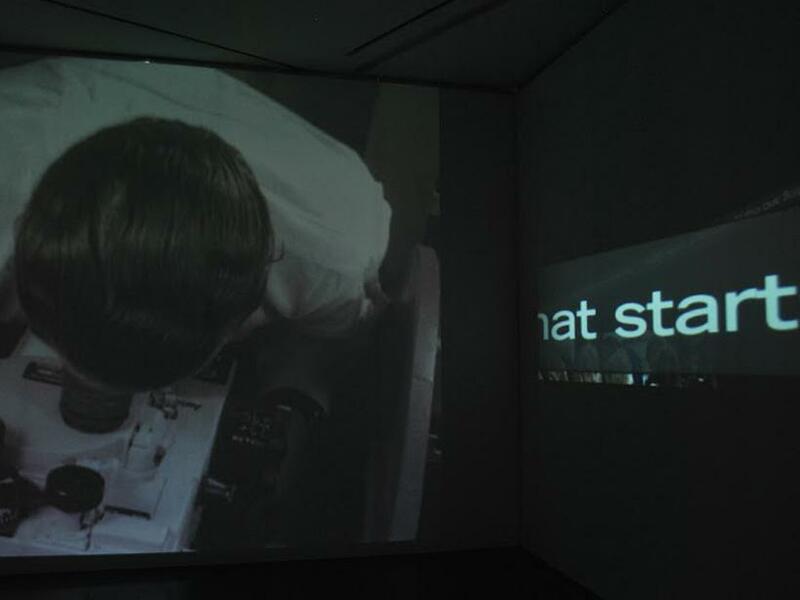 ‘Obsolescence’ presents three video works made within the last fifteen years by Harun Farocki, Martha Rosler and John Smith. 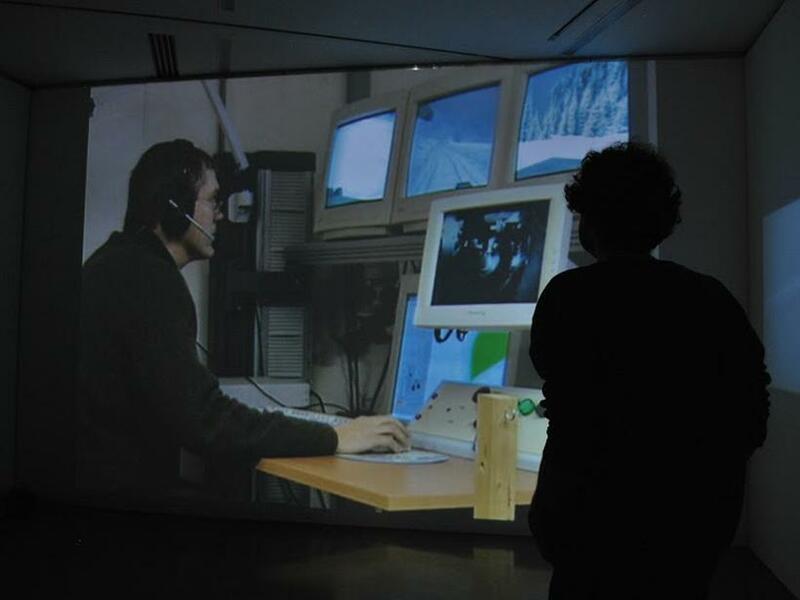 Farocki’s ‘War at a Distance’ (2003), Rosler’s ‘Because This Is Britain’ (2012), and Smith’s ‘Frozen War’ (2001) are united by their critically engaged use of broadcast media. All three explore the potential impacts of media imagery, language and modes of representation upon political understanding and experience in the context of war. 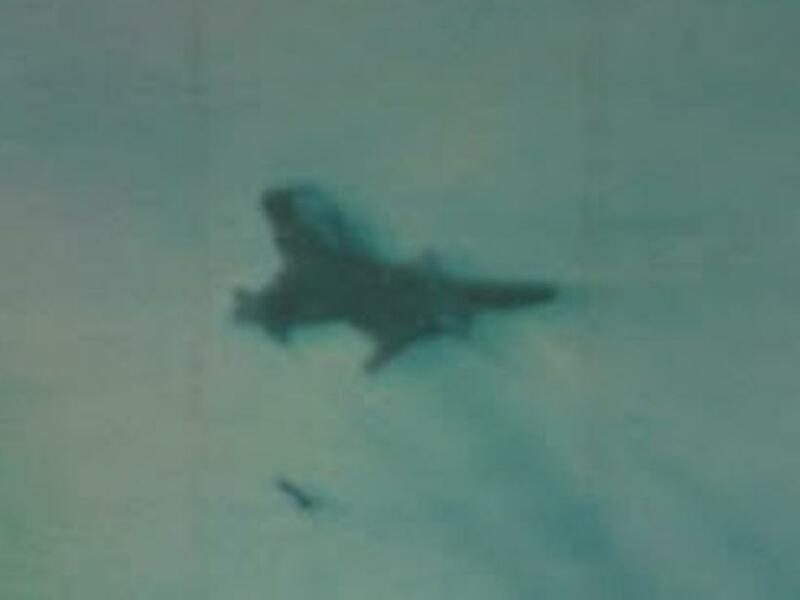 At fifty-five minutes, Farocki’s ‘War at a Distance’ is the longest work presented, yet well worth the investment of time. 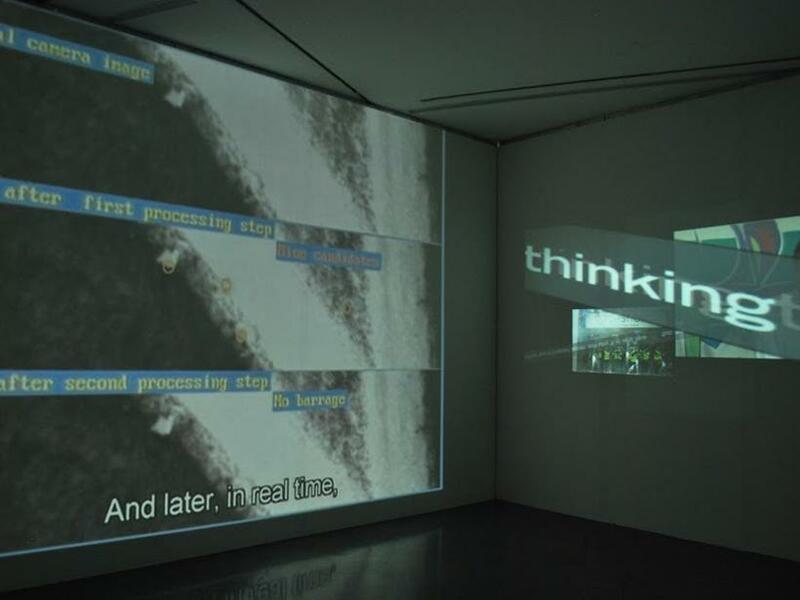 The video uses new and archival material to examine the relationship between real and computer-generated imagery, and all that implies for the production of meaning, both within military operations and in news media and advertising. It traces the parallels between the increasingly physically distanced nature of hyper-technological warfare - distanced, that is, for those waging it - and the outsourcing in industry of human labour to robots. 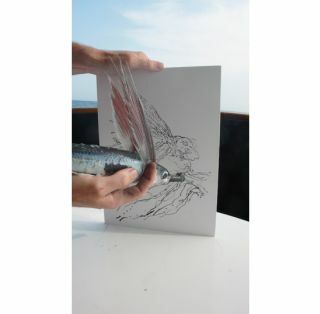 The theme of the eye arises again and again, gesturing towards the politics of what is seen and, crucially, left unseen. 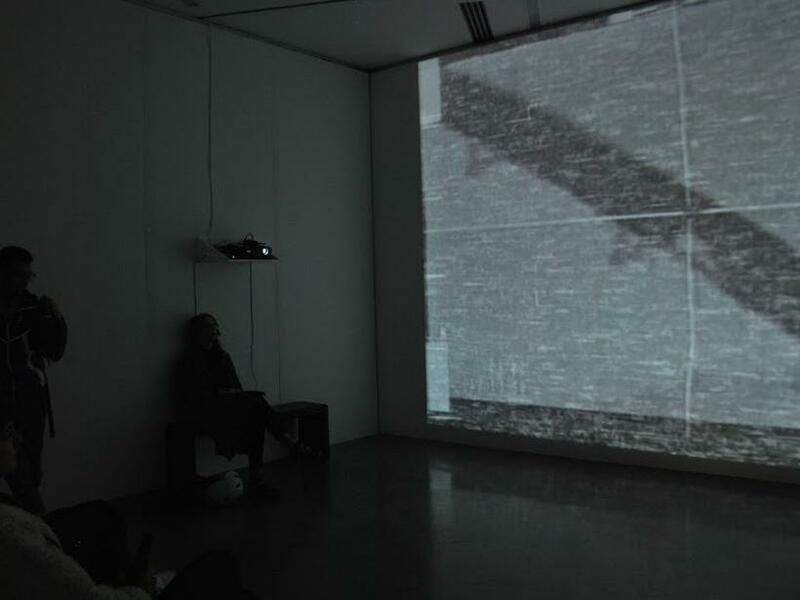 Accompanying Farocki’s work is Rosler’s ‘Because This Is Britain’. At three minutes long, this video draws on the visual tropes, language, and pace of twenty-four hour news media. 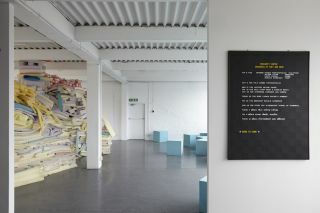 Images of contemporary Britain (jobseekers, looters, high streets, an Occupy sign) are overlaid with rapidly scrolling ribbons of text transcribing soundbites from David Cameron’s speeches. These highlight the Prime Minister’s paternalistic, willfully un-nuanced use of language as he criticises the welfare state and its beneficiaries. Images of the Bullingdon Club circa 1987 accompany the party line that success depends only on ‘working hard and playing by the rules’. Smith’s ‘Frozen War’ also draws on news reportage, albeit in a less frenetic fashion. 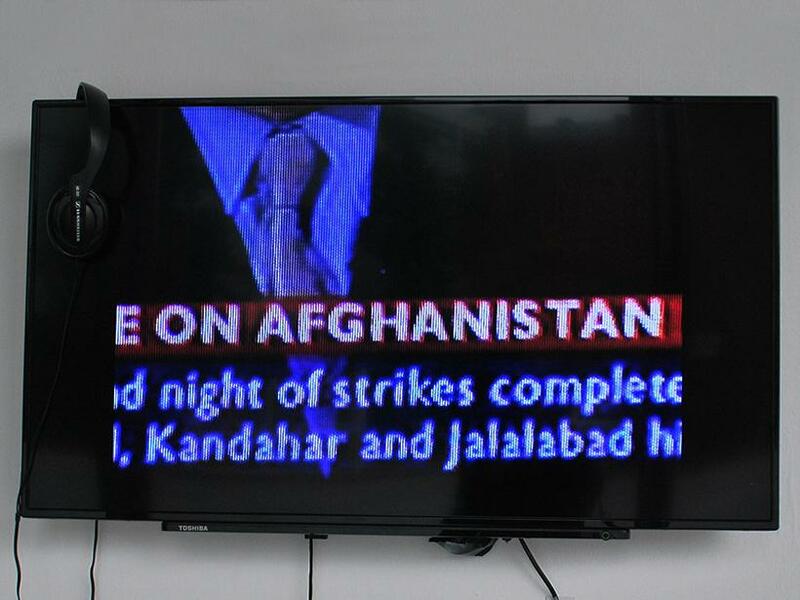 Triplicated over three monitors to mimic the multiplicity of news media, Smith meditates on time and history while filming his malfunctioning television screen, frozen on the news the night the UK bombed Afghanistan. 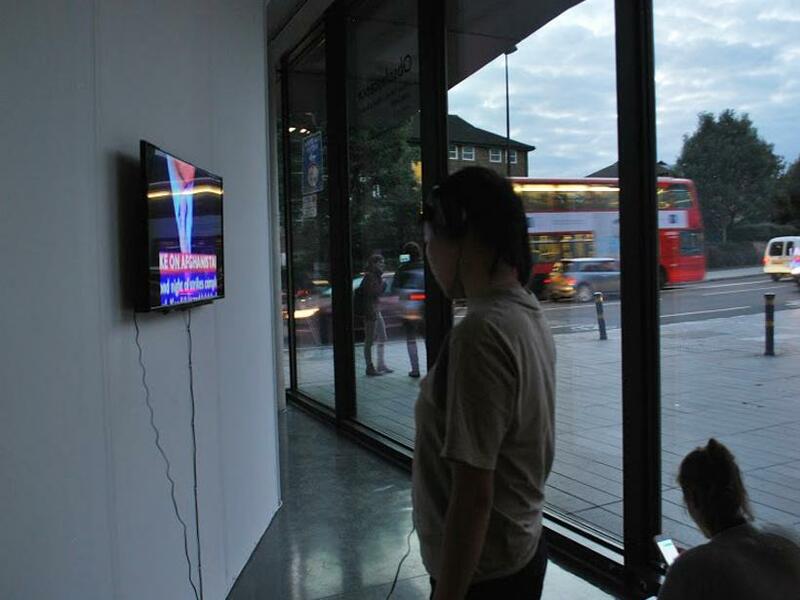 Anne Duffau’s curation is predicated upon Boris Groys’ 2005 text ‘The Fate of Art in the Age of Terror’, which states the necessity of considering mass media and journalism with enough space and time for criticality, a space which, Groys argues, can be offered within the museum. 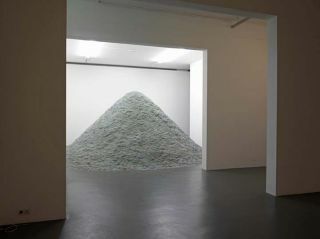 ‘Obsolescence’ certainly delivers in this regard, offering a highly compelling example of critically-engaged exhibition practice.